If you’ve been holding off on getting an Xbox One X, this new deal may be a good time to jump in. The deal, available on NewEgg’s store on eBay, gets you an Xbox One X with a 1TB hard drive, an extra controller, and copies of GTA 5 and Destiny 2. 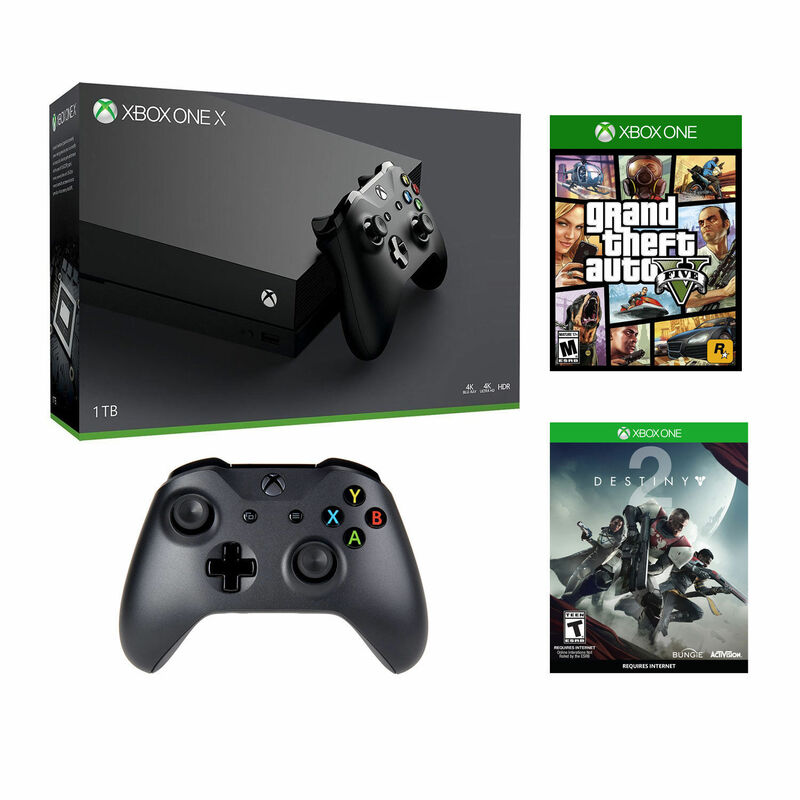 It’s not the best value ever, since we’ve seen bigger Xbox One X bundles for the same $500 before, but it’s the best you can get right now. As is the case with many of these eBay deals, quantities are limited, so act quickly. This deal is primarily for US readers, as the item can only be shipped in the United States. Hit the link above for more.